Whilst integrated person-centred care is becoming established as being good practice in dementia, it has however been criticised for being vague and difficult to research if it were not for tools such as dementia-care mapping. But does the application of a Human Rights Based Approach to health care lead to material improvements in the care and well-being of people with dementia in a care home setting? The Department of Health (2009) first English dementia strategy entitled ‘Living well with dementia‘ lays down a clear rationale for raising awareness in dementia key to countering stigma associated with dementia. But the same policy document witnessed frustration at the need to educate the workforce too. A consensus has now emerged that awareness-raising campaigns should include education on human rights, distinctly lacking in “Dementia Friends”. Campaigns might also, discuss dilemmas related to ethical issues which arise when providing dementia care, and help to establish a more positive image of living with dementia and carers. It has been widely recognised that people living with dementia are frequently denied their human rights both in the community and in care homes, reflecting a historical perception that traditionally we as a society have not treated people with dementia fairly. The most high-profile human rights abuses of people with dementia in recent years have taken place in healthcare settings, and so there is an urgent and compelling need to change the culture of many healthcare services and to equip women and men with dementia with the knowledge and skills to claim their rights as citizens. There is quite clearly a need to translate the concepts in a “Human Rights Based Approach” into practical strategies to facilitate the everyday decision making of staff. In other words to make choices guided by values guided by pragmatic elements such as proportionality fit in with other frameworks, proactive strategies and balancing rights and risks. Prof Sube Banerjee who has written the main foreword to my third book “Enhancing health and wellbeing in dementia: a person-centred integrated care approach” was central in advancing clear commitment to reducing the prescription of antipsychotic medication to people with dementia (Department of Health, 2009). In all jurisdictions, human rights are universal in that all people in the world are entitled to them, and these rights are inherent to the dignity of every human. Specifically, under the Human Rights Act 1998, public authorities – including NHS organisations – have a legal obligation to respect and protect human rights. This requires them not only to refrain from breaching human rights (‘negative’ obligations) but also, in some circumstances, to take proactive steps to protect people from human rights abuses – even if the harm is caused by private individuals rather than directly by the authority (so called ‘positive’ obligations). For example, this means that if there is evidence that a patient is being abused by relatives, NHS organisations have a positive obligation to investigate this and, where necessary, take steps to prevent it. Of course, this right can only be enforced by people who are aware of it. Often human rights have been marginalised or ignored, and advocacy groups have a critical rôle to play in promoting rights. However, advocacy groups have been often criticised for advising people of the ‘moral rights’ they should have, as opposed to the ‘legal rights’ they do have, and this might reflect a lack of ease with the law. And even when groups do successfully advocate for change, there is no actual shift of power and consequently, advocacy groups may be limited in challenging society’s values, labelling and stigmatisation. But the power of advocacy groups lies in their membership and the ability to act independently from service providers and professionals is a formidable one, but this same positioning may also mean groups might lack enough knowledge of the intricacies of health and social care systems. The fertile dynamic promotion of rights at a local level also is felt to be crucial to the functioning of local democracy, which is somewhat distinct from a dry, academic discussion of international legal instruments. The importance of citizenship, or the ‘right to belong to some kind of organized community’, as a ‘right to have rights’ (Arendt 1958) was highlighted in Arendt’s (1958) writing on the plight stateless persons in pre-, inter- and post-World War Europe. Arendt highlighted the vulnerable situation of those displaced from one country and accorded no citizenship rights in their new ‘home’. The NHS is founded on a common set of principles and values that bind together the communities and people it serves – patients and public – and the staff who work for it. Whilst not solely about human rights, this NHS Constitution establishes the principles and values of the NHS in England. It sets out rights to which patients, public and staff are entitled, and pledges which the NHS is committed to achieve, together with responsibilities, which the public, patients and staff owe to one another to ensure that the NHS operates fairly and effectively. Dementia is legally a disability, and the arguments as to whether people with dementia wish to consider themselves as ‘disabled’ (for fear of adding to stigmatisation) are not trivial. People with disabilities are the world’s largest growing minority, yet until very recently they were invisible in international human rights law. The European Court of Human Rights only made its first ever finding of disability discrimination in 2009 in Glor v Switzerland (2009). Traditionally, people with dementia have borne the brunt of numerous whammies, including prejudice about cognitive disability and ageism (although dementia is not an inevitable part of ageing). This has led to care practices that undermine the humanity and personhood of an individual with dementia as indeed the late great Prof Tom Kitwood espoused in his seminal work on personhood. People with dementia need positive rights; this can help with communication and decision making to help them to exercise autonomy. It is also worth noting that they have rights which need protecting in relation to other people’s rights. For example, in the debate over physical restraint, how much restraint is acceptable without infringing people’s human rights such as even the evaluation of care home staff performance? Video surveillance might protect against abuse in care home, and yet residents with dementia often report that they do not want to be watched and value their freedom, privacy and sense of “self”. From a human rights perspective, might the protection of public health potentially also be a human right, be it individual or collective in nature? Seen in this light, the ‘right to health’ can be a collective claim reflecting ‘public health’ and going against the interests of, for example, the tobacco, food and alcohol industry. But it is not always easy to see the “competing right“. For example, all organisations that provide NHS or publicly funded adult social care must conform to the Accessible Information Standard (England only, though the expectation is there in Scotland and Wales). This includes NHS Trusts and Foundation Trusts, GP practices and local councils. But what can possibly be the case for the Government’s right not to produce accessible information? Cost? One wonders, whilst activism from groups of persons with dementia and carers is still relatively young, whether there has been adequate leadership and guidance to providers of health and residential care on the implications of the Human Rights Act? There is still, I feel, a need for better staff training in human rights principles and their inclusion in health professionals’ qualifications as well as a duty to ensure that junior doctors in training have adequate legal protection for safe whistleblowing. We also need much stronger “meaningful rights” for protection against eviction for care home residents, and more robust complaints procedures generally. It is however somewhat unclear why a citizenship lens has not made more of an impact on dementia practice and research. The idea that people with dementia have rights has long been recognised and the need to treat a person with dementia as an equal has been voiced through a personhood movement. Citizenship has traditionally been associated with the promotion of civil, political and social rights particularly in relation to the welfare state. Although the idea of citizenship arguably originated in Western Europe, the notion that all persons should enjoy certain rights and freedoms is firmly rooted in political theory and philosophy. It is perhaps symptomatic of the degree of cultural oppression of people with dementia and carers that there has been such a slow uptake in people claiming their rights. Arguably, a Human Rights Based Approach offers a more robust framework encompassing many of the person centred principles but take it a step further as it is law. A Human Rights Based Approach helps us to make difficult decisions because it provides a decision making framework, about legality, whether decisions are necessary, and whether they are proportionate. Consider, for example, how the use of blanket restrictions such as locked doors, lack of access to outdoor space or refreshments can have a negative impact on how people behave, their care and recovery. They are inconsistent with a human rights-based approach. Providers should ensure that they abide by the Human Rights Act, and where possible do not have blanket restrictions in place. Where these are considered necessary, providers should have a clear policy in place and ensure that the reasons are communicated and justi ed to people who use services, family members and carers. But likewise providers may be challenged to justify the use of such restrictions under the Human Rights Act 1998. Incidents of abusive or neglectful care in care homes and hospitals (Winterbourne View, Orchid View and mid-Staffordshire NHS Trust) have rightly prompted a debate about the use of surveillance cameras to deter and detect poor care, but irrespective of such disasters there is a sensitive debate with implications for the rights of patients and service users, and for the workforce. An over-emphasis on the right to rights might detract attention towards symptoms of poor care provision away from the causes such as underfunding or toxic cultures. So is the upholding of rights a ‘means to an end’? In philosophy, the term means to an end refers to any action (the means) carried out for the sole purpose of achieving something else (an end). But I don’t think the answer is as simple as this – the aimias to use human rights as both an end and a means—in other words, as a source of legal standards and obligations as well as one of principles and practical methods that determine how those standards and obligations are to be achieved. Human rights innately include economic, social, civil, political and cultural rights and that these rights are equally important and inextricably linked. Everyone is entitled to minimum guarantees simply because of their humanity – that there is the ‘right to have rights’. And do I think this is just confined to health and social care systems? Definitely not. Whatever your views about the term ‘dementia friendly communities’, various central planks of human rights based approaches are fundamental. Related to participation is the right of people living with dementia and carers to have equal access to community services and facilities. This includes access to adequate food, water, clothing, education, health, public buildings, transport, housing schemes, information and communication. Accessibility also means that people living with dementia and their carers should be provided with accessible information and the support they require to empower them to exercise their right to participate in decisions that affect them. This includes from health and social care professionals and practitioners too. A previous Government in 1997 launched a white paper consultation into the future of human rights legislation in England and Wales. This document called ‘Bringing rights home’ set out the then Government’s intention to bring onto the statute books a way in which parliament could make it straightforward for its citizens to bring human rights case, without petitioning Strasbourg directly. 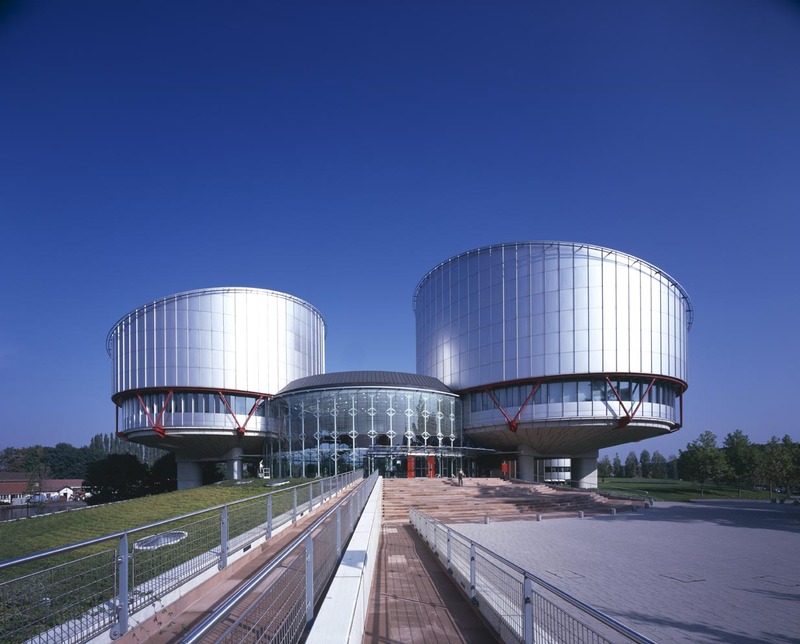 Access to the European Court of Human Rights in Strasbourg was considered too costly and time-consuming. Unless England and Wales stop being signatories to the Council of Europe, which is another component of uncertainty from the current administration, citizens in England and Wales will still be able to petition Strasbourg directly, as has been made clear for some time by their Lordships specialising in human rights. Britain, under a previous Conservative government, had a major influence in drafting up the current European Convention of Human Rights. The rights themselves, such as a right to be free from torture or degrading treatment are pretty uncontroversial themselves. They are a huge factor in allowing citizens to hold their Governments to account. Under current legislation, the Human Rights Act 1998 in England and Wales gives citizens ‘rights’ against anyone carrying out a public sector function such as local authorities for breaches of human rights, and there are few sectors as important in this regard as health and social care. “Dementia Rights” is a new initiative I have designed, which I intend to launch in Dementia Awareness Week. Dementia Rights, building on the success of “Dementia Friends”, sees dementia not from the perspective of someone who is ‘dementia friendly’ but from the person living with dementia and doubtless many other co-morbidities. A right gives a person with dementia a license to do something, and these rights are currently legally enforceable through a number of routes. For example, the Equality and Human Rights Commission will see the occasional case of someone discriminated against on the grounds of living with dementia. The logic is particularly relevant for someone living with a young onset dementia, that is a dementia which has shown itself before the age of 65. These tend to be dementias which are in the early presentations of some traditional late onset dementias, or late presentations of young adult or childhood conditions. They are not merely dementias which have been diagnosed early. Such citizens tend to have young families or serious work commitments. They particularly need protection against unfair dismissal, that is dismissal for no good reason in no fair way, on the grounds of a disability. This is disability discrimination. The Equality Act (2010), which is not being abolished, indeed brought forward by a previous Labour government but in fact rooted in a consolidating act from previous Conservative instruments, defines dementia to be a disability. If it were to recognise formally a sustained cognitive impairment as a disability in keeping with their definition of a “disability” as “that which has a ‘substantial’ and ‘long-term’ negative effect on your ability to do normal daily activities” in this context, it would be much easier to bring cases to employment tribunals for people being sacked due to a sustained cognitive impairment. If the ‘Dementia Rights’ initiative works, run by Dementia Rights Champions, it will help to embed a rights based consciousness in society. I do not intend to pitch it at any commissioners, though we do need to have some accurate measures of its benefit and outcomes. I intend rather to make it freely available as ‘open source’ in the best spirit of Paul Mason’s work on post-capitalism. Launching in ‘Dementia Awareness Week’, I hope this will bring an added, a much needed further dimension, to living with dementia apart from future cures and other (predominantly reductionist biochemical) research, ‘dementia friendly communities’ and a social care system on its knees. ‘Dementia rights’ consists of a number of activities designed to encourage a discussion about the unique importance of rights for people with dementia, to emphasise five key messages: these messages are that rights apply to everyone and ought not to be taken away, rights go together with responsibilities, dementia is in law a disability, it is possible to enforce legal rights. and a major function of human rights law is to protect against discrimination. I am grateful to all members of the public who have expressed an interest in this initiative of mine. I think none of this would have been possible had it not been for the groundbreaking work of Dementia Alliance International working in a strategic alliance with Alzheimer’s Disease International, in particularly the leadership shown by Glenn Rees and Kate Swaffer. I am, in addition, particularly grateful to two members of the Queen’s Counsel, in the legal profession, who have shared the five key messages. Rights can be restricted in a legal away, but as soon as you deny rights unfairly, such as denying a right to complain, a right to a care home reflecting your sexuality, or a right to culturally appropriate diet, you are on a slippery slope. The rights based approach is not supposed to replace the medical approach of diagnosis and cure, but I feel has substantially more to offer the rehabilitation and enablement approach pervasive from the social model of disability. A correct diagnosis of dementia should be helpful to all recipients of that diagnosis, not an encumbrance, and I feel promotion of dementia rights locally as well as internationally is now essential for this. Call it ‘Bringing dementia rights home’ at last.